Microfinance and entrepreneurship have not turned out to be the panaceas for poverty that some experts predicted, suggests a recent analysis by social and political anthropologist Linda Herrera, a professor of education policy, organization and leadership at the University of Illinois. The United Nations Development Program recently released the Arab Human Development Report 2016, which advocates an array of educational, social and political reforms to enhance the lives of the rapidly growing population of young adults under age 30 in Arab countries. 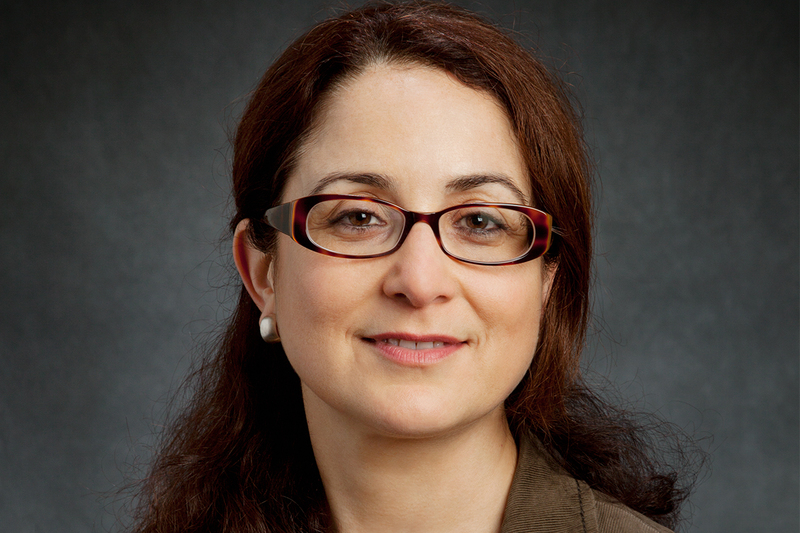 University of Illinois education professor Linda Herrera, a social/political anthropologist who specializes in the Middle East and North Africa region, critiqued these strategies in an analysis published by the Egypt-based media organization Mada Masr and the e-zine Jadaliyya. Herrera spoke recently with News Bureau education editor Sharita Forrest. The U.N. report calls for empowerment of young adults in Arab countries through education reforms that better prepare them for employment in their countries’ economies. Yet your analysis takes issue with the agency’s focus on preparing young people for entrepreneurship. Why? It is not clear what percentage of the 100 million 15- to 29-year-olds in the Arab world – a third of the population – are supposed to become self-employed entrepreneurs. Surely, promoting this policy in such a sweeping way is a recipe for failure for the overwhelming majority, and could also very quickly become a debt trap. It is extremely disheartening to see how the authors have no problem advocating for even more focus on outputs, testing and market-style reforms in education, but do not see a problem with exploitative work conditions that contribute to politically and socially destabilizing environments. A focus on entrepreneurship helps to highlight the misplaced policy priorities and internal contradictions, particularly as they relate to education and youth employment. Some business experts advocated microfinance of entrepreneurs, believing it is the path out of poverty for people in struggling countries. Has it worked? United Nations agencies, global finance institutions and nongovernmental organizations joined forces on a massive scale beginning in the late 1980s to promote microfinance among the poor in the “global south.” This was supposed to be a panacea to alleviate poverty. After more than three decades of experimentation and data collection, the evidence overwhelmingly points to that fact that microfinance does not cure poverty and has been a death trap, a debt trap and disaster for many. Small-scale, temporary income generation cannot be a substitute for stable work and social protection. We should learn from the past and be more rigorous about how we come to policy reforms. We should also more carefully study the situation of student debt in the United States to gain a better understanding of the effects of debt on young people in the short, medium and long terms. How might social media support the social, economic and political empowerment of young adults in the Middle East? Social media is such a fast-moving target, and I am continuously relearning what it is and how people use it. It was a game-changer in the lead-up to the Arab uprisings of 2010-11, but soon became a double-edged sword. For all its early empowering capabilities, it also became a dangerous space of surveillance, rumors and fake news. Growing numbers of people use Facebook for business ventures, ranging from home catering and cellphone repair to more sinister activities like human trafficking, unfortunately. We should be careful about talking about social media as something with built-in attributes like empowerment. It is what people make of it, and the good, the bad and the ugly coexist in this labyrinthine, unpredictable space. How might the United States’ recent raid on Yemen, the travel ban and the isolationist, nationalistic policies advocated by President Donald Trump’s administration influence young adults in Arab countries and the prospects for peace? It is a misnomer to call Trump an isolationist when after only nine days in office he ordered a military raid on Yemen, in which up to 30 civilians were killed, including nine children under age 13. Obviously, this type of activity bodes exceedingly badly for peace in the region. My fear is that Trump and his administration are not interested in peace in the Middle East and North Africa region, but in chaos. Their policies and rhetoric could have the effect of further destabilizing the region and pushing young people further along a perilous path. But we educators and concerned global citizens should do our best to not let this happen. We need to find ways to stay engaged and help young people reach a road to opportunity, security and dignity.